Anglo-Indian quill box and bowl, circa 1900. 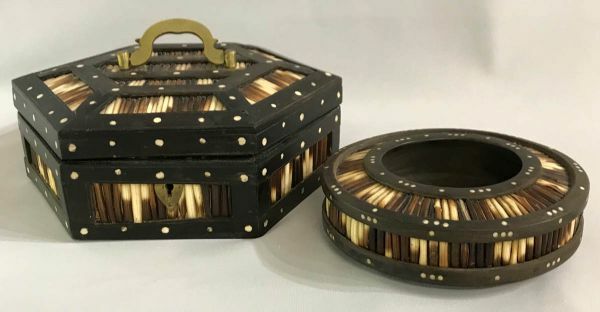 Constructed with ebonized hard woods, porcupine quills and bone dot inlay. 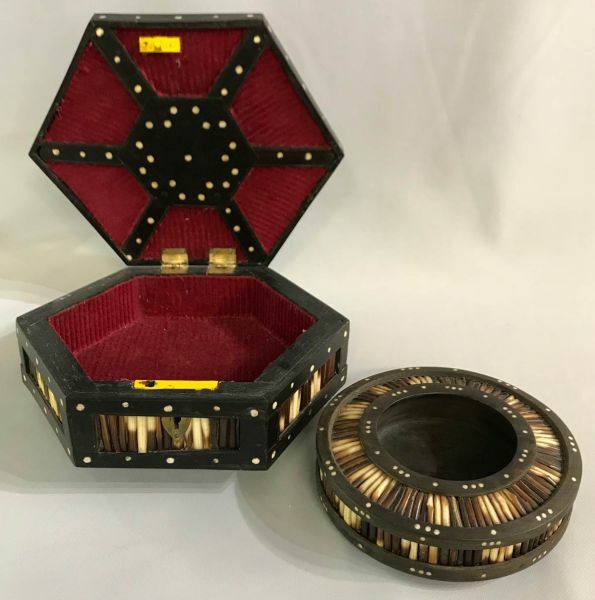 The hexagonal box has the original brass handle and hinge, red cloth lining. 8 1/2” diameter, 3” high. The bowl is 5 3/4” diameter, 1 3/4” high.